I was recently asked what my favorite beers are. To the data we go! I have tried over 400 different beers and they’re all rated in Untappd. Here are the only beers that have received a perfect score from me. If you don’t like IPAs, then you might not be thrilled with this list, but right now I would rank Oskar Blues IPA and Deschutes Red Chair as the best of the best. 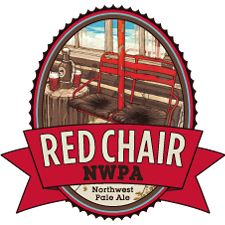 You can only find Red Chair from about January to May so it’s a special treat each year. And while we’re on the topic of alcohol, how about a refresher on my list of top rums? Sipping rums. Mt. Gay Extra Old is my go-to standard, but there’s a new entry on this list from a distillery in Woodinville: Puget Sound Rum Company C&C Honey Rum. Mixing rums. If you’re mixing with Coke (or Coke Zero as I prefer), look no further than Kraken. If you’re mixing with fruit juice then grab some Mt. Gay Eclipse.